Being one of the most popular states in the world, it is no surprise that California would be one of the top ten greatest locations for an outdoor wedding of epic proportions. From snowy mountains to golden beaches, California has it all! If you fancy a beach wedding without jetting off to the tropics then San Diego has the answer - with eleven beaches holding city issued permits the choices are endless. Of course we couldn't talk about California without also giving credit to the breathtaking Napa Valley - home to countless beautiful vineyards and unique sights. 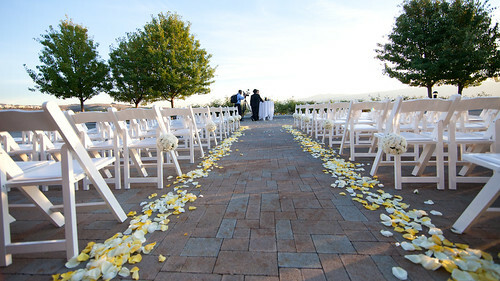 If you are something of a wine connoisseur then Napa Valley should be top of your wedding venue wish list. California certainly isn't short on talented vendors either, so you'll be sure to find everything you could have hoped for and more. Edgewood Ranch - Elegant 60 acre property surrounded by redwood, oak, bay and fir trees. Bali Gardens Estate - Soak up the lush surrounds of this Indonesian inspired estate whilst marveling at the most incredible sights in the whole of San Diego. The Sky Loft - For a super chic outdoor wedding with a difference this rooftop venue gives a definite wow factor. Get the love: Hold your reception in the legendary Golden Gate Park with the iconic bridge as your backdrop. 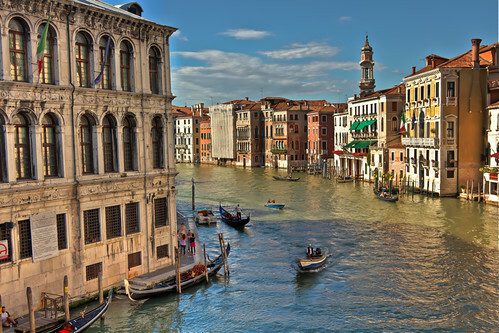 From the enchanting canals, waterways and gondolas of Venice to the equally as romantic cities of Florence and Rome, Italy will win your heart and leave you with wedding memories that certainly won't be forgotten in a hurry. The countries rich magnificent architecture and historical monuments provide plenty of opportunities for captivating wedding shots, and the rolling hills and picturesque vineyards make for the most idyllic setting imaginable. Get the love: For a real Italian style wedding tie the knot in Tuscany. Get the royal treatment and experience life as a Tihitian princess when you choose to wed in the gorgeous unspoilt Polynesian islands. Start your big day off with a soothing massage then head on down to one of the stunning white beaches and enjoy your ceremony whilst listening to the melodic sounds of the crystal clear lagoon waters. Go ahead and bask in the warm tropical climate whilst preparing for your honeymoon in one of the best locations in the world - who said life couldn't be bliss! InterContinental Resort Tahiti - Greeted with traditional love songs and blessed by a Tahitian priest during a secluded beach side ceremony. 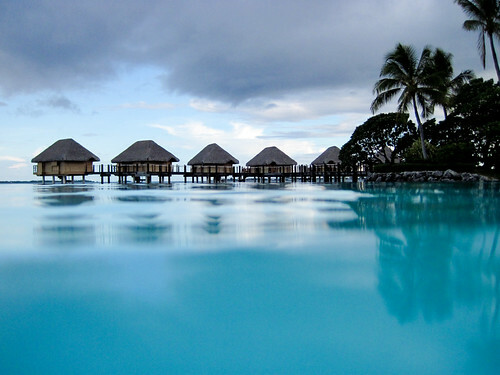 Four Seasons Bora Bora - Spend an evening under the stars whilst celebrating your special day on a private inner lagoon. Get the love: Spend a night in an overwater bungalow for a true taste of Tahiti. 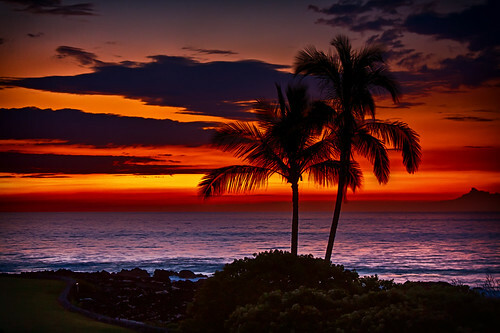 With so many wondrous islands to choose from including the Big Island, Kauai, Oahu and Maui, coupled with beautiful warm weather, Hawaii is the perfect destination for an outdoor wedding. Whether you want to venture off the beaten track and marry beside lush waterfalls, or say your vows amidst one of the tiny off shore islands, the choice is all yours! One thing's for sure - you certainly won't need to splash out on expensive decorations as mother nature has it taken care of. Paradise Point at Kailua Bay - The exclusive 5 Star Plantation Estate on the Hawaiian Island of Oahu, offers classic beachfront elegance at its finest. Get the love: Don't miss the ever changing lava show at Hawaii Volcanoes National Park. 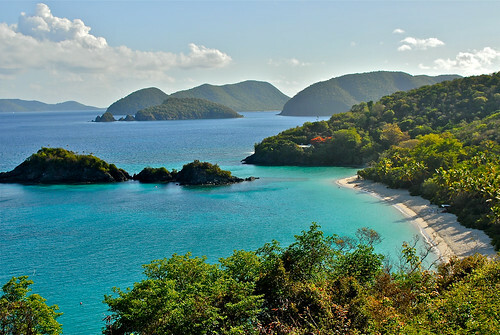 Comprising of more than 7,000 islands, islets, reefs and cays, the Caribbean presents a plethora of outdoor wedding venues for the bride and groom to be. Make your dream a reality and bring your Caribbean destination wedding to life. 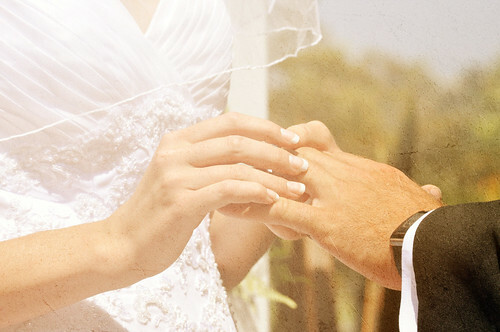 From Jamaica and St.Lucia to the Bahamas and Antigua, a Caribbean wedding is truly paradisiacal. Who wouldn't want to tie the knot whilst overlooking exquisite turquoise waters and watching the most romantic sunset of all time. Villa Castellamonte - Overlooking azure blue ocean waters the luxurious Villa Castellamonte is perfect for destination weddings. St John Villa - This one off a kind retreat is a real slice of island paradise. Sunset Reef Villa Tabago - With panoramic sea views the Sunset Reef Villa in Tabago makes for the ideal al fresco wedding base. Get the love: Dive deep for an underwater wedding - who said fish couldn't make great guests! Often referred to as one of the greatest places in the world to get married, Fiji provides wedding and reception options galore - with over 330 different islands you'd expect as much! Sparkling waterfalls, glistening golden beaches, or tropical forests, you won't be disappointed by the pure natural beauty that the Fijian Islands have to offer. Best of all you can keep your wedding budget to a minimum as the resorts won't charge you a penny for renting reception halls. Whatever you have been dreaming of, be it fragipani flowers, a beachfront choir, or even a barefoot ceremony, Fiji can cater for your every whim. Get the love: Treat yourself to a lovo and meke while you can. From the minute you set foot in Cape Town you will instantly fall in love with its natural beauty, incredible spirit and creative freedom. 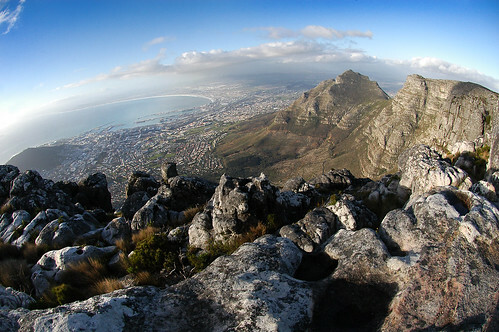 The cities well known landmarks of Cape Point and Table Mountain will leave you reeling in awe, as will the dramatic mountainous backdrop and breathtaking coastline. Ride the cable car to the summit of Table Mountain and become husband and wife whilst reveling in the 360 degree panoramic views of the city and sea spread out below. Le Bac Estate - Set in the tranquil presence of the Drakenstein Mountains the Le Bac Estate oozes romance and charm. Kirstenbosch Botanical Gardens - World renowned for its beautiful and diverse display of Cape flora, Kirstenbosch Botanical Gardens is a vision of beauty. Get the love: Take a once in a lifetime carriage ride though the historic areas of Cape Town, complete with a champagne picnic. For an extraordinary outdoor wedding experience an exotic Balinese ceremony is the way to go. If the authentic Indonesian culture, food and dancing isn't enough to get create a buzz with your guests, luxurious landscapes and sparkling lagoons definitely will. Exchange your vows under a glamorous pavilion located on the sandy shores of Tanjung Benoa beach or opt for one of the lush tropical gardens available in most hotels. What more could you want than the ease and practicality of holding your wedding and honeymoon together all on the beautiful island of Bali. Infinity Bali Villa - Villa Infinity Bali is the most exclusive and magical villa Bali has to offer ! The service is excellent and around the clock. Get the love: Take a trip through the remarkable terraced rice paddies. Although not known for its glorious weather, London still holds a certain unrivaled charm when it comes to outdoor weddings. Boasting the proud title of the heart of Europe, London is littered with romantic locations that make for ideal wedding venues. From impressive stately homes complete with picturesque grounds that are perfect for putting up a marquee, to insanely beautiful gardens lavished with elegant conservatories and private terraces, London is full of gems that will make your outdoor wedding shine like no other. The Horniman Museum and Gardens - For a true English fairy tale wedding in the countryside the idyllic award winning gardens and Grade II listed Victorian conservatory can't be beaten. Syon House and Garden Room - Favored by Henry VIII's first wife Catherine of Aragon, the Garden Room of Syon House is home to a beautiful marquee erected within a secret walled garden. The Pump House Gallery - Situated in 200 acres of stunning parkland, the Pump House Gallery is a unique outdoor setting with amazing views of the lake. Get the love: Feeling adventurous? 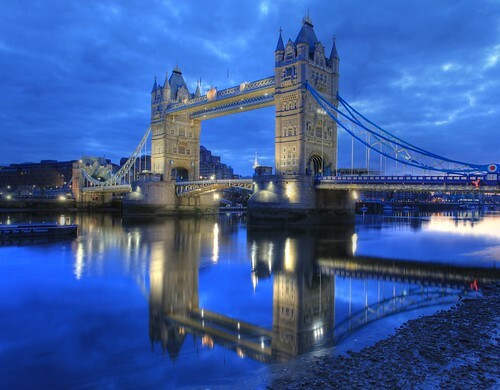 Why not exchange vows 135 meters above ground atop the infamous London Eye whilst soaking in the magical city sights. As the largest freshwater lake in the Sierra Nevadas, Lake Tahoe is the perfect accompaniment to any outdoor wedding in any season! For outdoor enthusiasts whose heart melts at the glimpse of stunning scenery, the glimmering lake teamed with the immense mountain horizon is natural beauty at its best. The possibilities are endless when it comes to which outdoor location to settle on. Marry atop the cliffs surrounded by monumental granite rocks and hundred foot tall pines, in a secluded beachfront alcove or among the woodland with a roaring waterfall in the background. 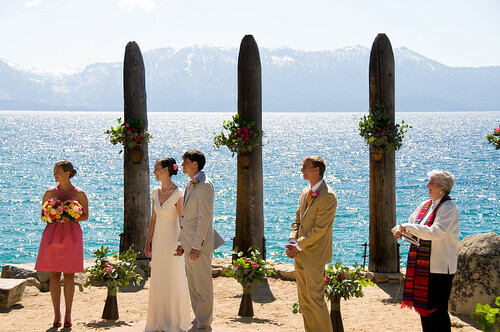 Get the love: Set sail and declare 'I do' on one of the romantic Tahoe cruises. What's your Dream Outdoor Wedding Location?